We can’t think of the word “unsinkable” without thinking of Margaret “Molly” Brown. Not only did she survive the Titanic disaster; she left a legacy of philanthropy, generosity, and integrity. You might say she was known for both her head and her heart. So when I heard about a Young Adult book titled Unsinkable: The Molly Brown Story, I was drawn to it. (I’m always on the lookout to find great books for my God-daughter Sami and my nephew Lucius). Turns out the book is part of the “Now You Know” series from Filter Press, a wonderful small press in Colorado, and was authored by a colleague from Women Writing the West, Joyce Lohse. What always strikes me about Joyce are two qualities—she always wants to learn something knew, and she always want to be generous to others. So I suppose I shouldn’t have been surprised when she posted not one, but three segments for my blog tour, with an introduction post to boot, about my upcoming novel What the Heart Knows. Her posts include answers to her interesting questions in Segment #1; Segment #2; and Segment #3. When we first discussed the possibility of my guesting on her blog, the connection between her work and mine didn’t seem obvious, as I don’t write Western history. Or . . . do I? I do write a story set in the West. (The question always arises, is California the West? Well, it sure-as-shootin’ is geographically, even though I don’t have any horses or cowboy boots in my story.) And my series is set in the 1990s, which technically is indeed history, be it ever-so-recent. What we realized was a terrific fit for her blog was the topic of research. With very recent history, it’s hard to remember when, exactly, certain things were introduced into mainstream society. Now, for example, cell phones are a fact of life. But in 1996, could a character be relying on a cellular device as his primary means of communication? Turns out, if he has enough money, he could buy the first razor-thin flip phone in 1996, so this was a perfect fit revealed by my research. I shared a much funnier story about Jimmy Choo shoes with Joyce that you can read on my post there. We both love Western history, be it recent, old, or ancient. Why? Probably because we both love adventure, and the kind of characters who think big and live up to their dreams. The West used to and still does dish out some of the biggest obstacles in life. What does it take to be unsinkable? It takes both head and heart. 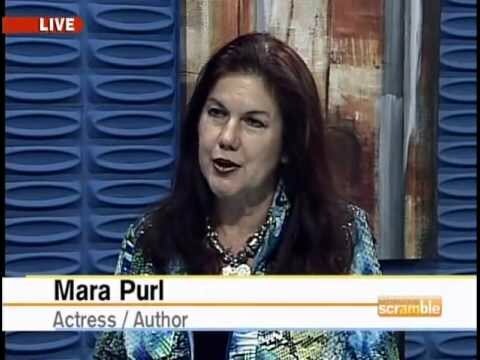 This entry was posted in Acting, American West, Art and Entertainment, Author Mara Purl on Blog Tour, authors and entertainment world, Authors and Publishers Services, Bellekeep Books, Bellekeep Books by Mara Purl, Blog tour of author Mara Purl, Blog Tours, book marketing using websites enewsletters and blogs, Books, Business, California, careers, Collaboration with other writers, Colorado, Connecting through blogs, Connecting through books, Current Event, current events, family history and genealogy, head and heart connection, head and heart connection, Heart, Heart and head connection in books, history, Innovative marketing, Innovative marketing, inspiring through fiction novels, Love of Books, Mara Purl, Mara Purl, Mara Purl, Mara Purl Romance novels, Mara Purl using new marketing methods for Books, Marketing, Milford Haven, Milford-Haven Novels & Stories, new methods of marketing books, of lives through books, Opening up to New Worlds, Power of Universe, Publishing, Re-Build your Life, relationships, Romance novel readers, Romance Novels by Mara Purl, Romance Novels by Mara Purl, Romantic fiction, Science, screenwriting and acting, self-growth, sychronicity of life, synchronicity, synchronicity, Syncronicity between bloggers, Transformation, Travel, Uncategorized, Virtual Book Tours, Virtual Book Tours, Western Fiction, What the Heart Knows, women and romance novels, Women and Romance Novels, Women authors, Women's Fiction, womens literature, Writing, writing romance novels and tagged affinity for water, author Mara Purl, blogs about the American West, California as West, cell phones as fact of life, cellular devices as primary means of communication, changes of The Milford Haven Books, culture and lifestyle on Rocky Mountain West, Filter Press, great books, Greenpeace International, Greenpeach Voyage of Mara Purl, head and heart women, heart, Journalistic writing skills, Joyce Lohse, Joyce Lohse author of seven award winning books, Lohse Works, Mara Purl on California coast, Mara Purl on Jimmy Choo shoes, Margaret "Molly Brown", mutual support of writers, Old and New West, save the whales, storms of entertainment careers, synergy, The Milford-Haven Books, Titanic disaster, unknown territory and pioneering lifestyle of the West, unsinkable Western history, Unsinkable: The Molly Brown Story, Western history, Women Writing the West, women's fiction, women's fiction novels, www.marapurl.com. Bookmark the permalink.